I’ve been gin obsessed for quite some time now. I love its versatility, and every gin you taste seems to have its own identity. 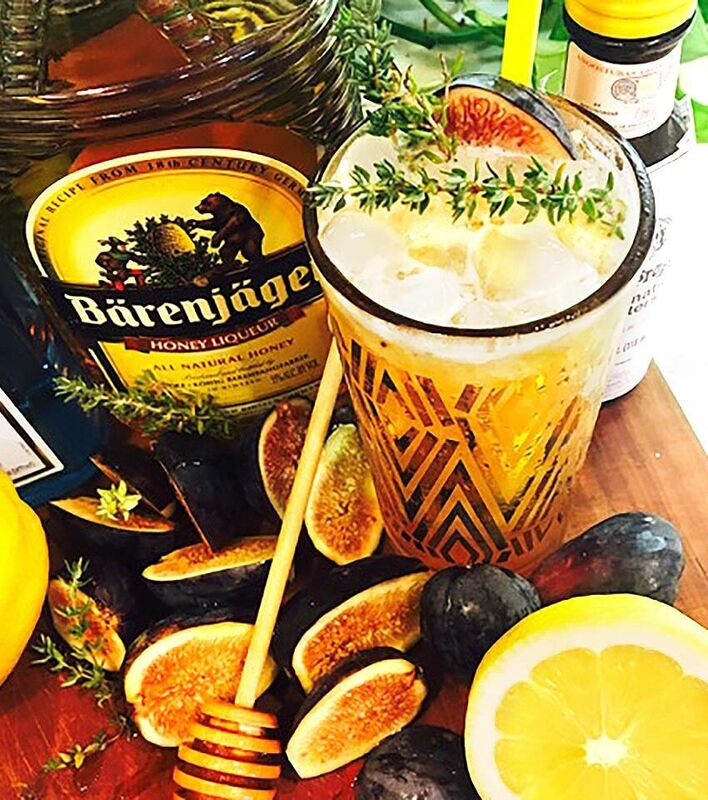 As soon as I tried Barenjager, I knew that it would go beautifully with gin since it tastes just like honey! 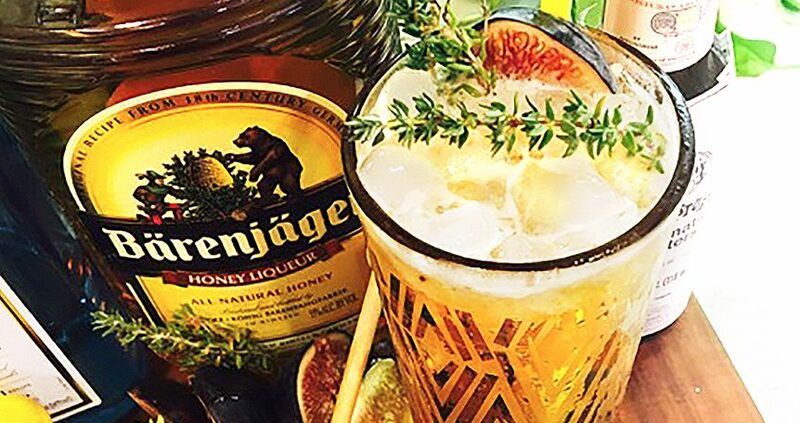 This cocktail is an ode to the classic Bee’s Knees with a fruity & hoppy twist. Since I was a kid, I’ve had an affinity for figs, climbing my grandmother’s fig tree to eat its ripe fruit. I now love using them in my cocktails. Even though it is sometimes difficult for the fruit to impart its flavor, figs add a beautiful color to cocktails. This is a little nod to that short-seasoned late summer fruit. Preparation: Muddle 2 large figs, halved with stems removed, in a standard mixing tin. Build all ingredients in a shaker adding 1 heavy dash of angostura bitters. Hard shake and double strain over crushed ice into a Collins glass. Add a full bar spoon of fig syrup. Top with a couple ounces of citrusy/hoppy beer (I used Deschutes Hop Slice Summer Ale) and garnish with a fig “coin” and a few stems of thyme. Preparation: Combine all ingredients in a medium saucepan and heat on medium/high until it starts to boil. Stir until sugar dissolves. Mash figs to incorporate and let simmer over heat to reduce. Once sugar has dissolved and figs have broken apart, remove and cool for about 30 minutes. It should have a syrupy texture, and be sticky to the touch. Strain into separate container and keep in the refrigerator for up to 2 weeks. Melissa’s bartending career began as a supplement to her career as a behavioral therapist for children with Autism. After completing a Master’s Degree in Psychology and working for years in the field, Melissa decided to focus full time on hospitality. 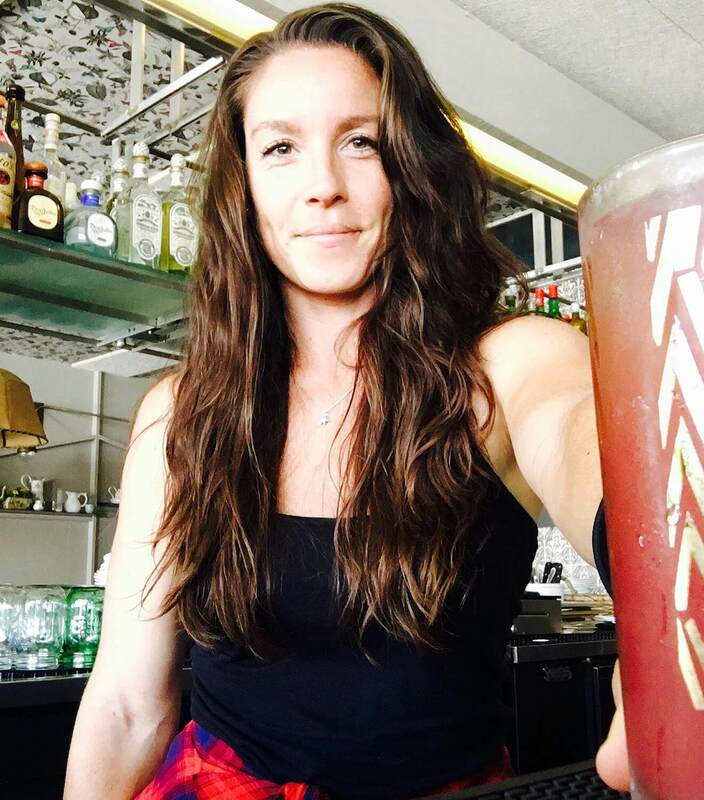 You can find her behind the bar at Cucina Sorella, the newest addition to Urban Kitchen Group in San Diego’s Kensington neighborhood.